In order to allow the Hotmail users with no Windows Live Messenger (Facebook Chat is introduced in Windows Live Messenger 2011) to enjoy the Facebook chat, Microsoft Messenger team has added Facebook Chat support to web-based Hotmail. With this new added feature, Windows Live users now have the same sets of contacts on the Messenger client and Hotmail web interface, and the Hotmail users can see Windows Live Messenger friends and Facebook friends in one place without ever leaving the Hotmail. 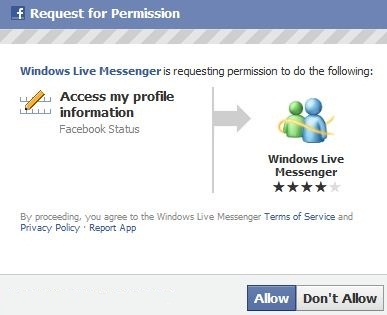 To enable and integrate Facebook Chat onto Windows Live Messenger and/or Hotmail’s Messenger, users have to connect their Facebook account to Windows Live and checked on the “Chat with my Facebook friends in Messenger” box to give their consent to Facebook. 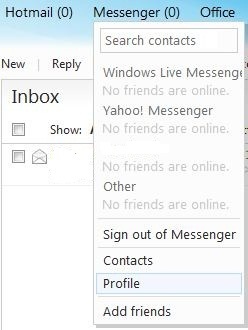 Note that if you already connect Facebook to Windows Live Messenger, the Facebook Chat in Hotmail’s Messenger is automatically linked and turned on, thus you can see your online Facebook friends right away when logging into Hotmail. For those users who like to start connecting and communicating with Facebook friends via Hotmail user interface or Windows Live Messenger, just follow the step-by-step guide and tutorial below. In the header at the top of the Hotmail window, point to Messenger and then click Profile. In the left pane, under the “Connect To” section, click on Connect, and then select Facebook. Alternatively, under “Messenger social”, just click on Facebook icon inside the “Connect your services” box. Check and tick the option of Chat with my Facebook friends in Messenger under “Share on Windows Live” section, and click Connect. Login to Facebook if necessary, and click on Allow when requested for permission. Once connected, a new group of “Facebook” should appear on the Messenger, and the users can check their Facebook friends’ online status and start chats with them in Hotmail inbox by clicking on the name to open an instant messaging window. Once Windows Live is authorized to connect to Facebook, the Facebook Chat service will enabled and turned on on all Windows Live services, including Windows Live Messenger for Windows, Windows Phone 7, iPhone and Hotmail.